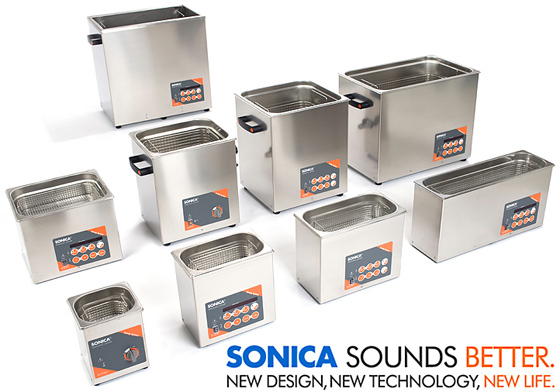 SOLTEC ultrasonic cleaners are available in over 20 models with more than 50 different versions. The cleaners are highly efficient in removing particulates and help in cleaning the various HPLC components to remove the contamination, dust , oil, grease, organic matter etc. Using ultrasonic energy and a process known as cavitation, ultrasonic cleaning is the most effective way of deep cleaning parts that are difficult to reach as well as complex shaped items (mechanical parts, precision components in HPLC). SOLTEC offers a vast range of options with varying capacities from 40 to 130 litres. Model M – Model with a timer which can be set up upto 15 minutes besides a manual operation option. Model ETH- Cleaning times and temperatures controlled electronically by microprossor. Deg C; memory for 10 cleaning programmes; Jet Program allows for quick and easy cleaning cycles. All the models come with the Sweep System generator. SOLTEC can also design “Custom” Ultrasonic cleaners, based on customer’s specific requirements.